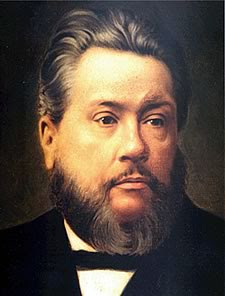 Sunday Spurgeon- The Church’s New Mission: Entertaining the Masses? impudence that the most shortsighted can hardly fail to notice it. During the past few years it has developed at an abnormal rate, even for evil. It has worked like leaven until the whole lump ferments. The devil has seldom done a cleverer thing than hinting to the church that part of their mission is to provide entertainment for the people, with a view to winning them. From speaking out as the Puritans did, the church has gradually toned down her testimony, then winked at and excused the frivolities of the day. Then she tolerated them in her borders. Now she has adopted them under the plea of reaching the masses. Is It A Function Of The Church? My first contention is that providing amusement for the people is nowhere spoken of in the Scriptures as a function of the church. If it is a Christian work why did not Christ speak of it? Go into all the world and preach the good news to all creation. That is clear enough. So it would have been if He had added. “And provide amusement for those who do not relish the gospel.” No such words, however, are to be found. It did not seem to occur to Him. Then again, it was He who gave some to be apostles, some to be prophets, some to be evangelists, and some to be pastors and teachers, to prepare God’s people for works of service, so that the body of Christ might be built up….”Where do entertainers come in? The Holy Spirit is silent concerning them. Were the prophets persecuted because they amused the people, or because they refused? The concert has no martyr roll. Is It Seen In The Life Of Christ? Again, providing amusement is in direct antagonism to the teaching and life of Christ and all His apostles. What was the attitude of the church to the world? “You are the salt of the earth,” not the sugar candy – something the world will spit out, not swallow. “Let the dead bury their own dead. . ..”. He was in awful earnestness! Had Christ introduced more of the bright and pleasant elements into His mission, He would have been more popular when they went back, because of the searching nature of His teaching. I do not hear him say, “Run after these people, Peter, and tell them we will have a different style of service tomorrow, something short and attractive . . . We will have a pleasant evening for the people. Tell them they will be sure to enjoy it. Be quick. Peter, we must get the people somehow!” Jesus pitied sinners, sighed and wept over them, but never sought to amuse them. In vain will the Epistles be searched to find any trace of the gospel of amusement. Their message is, “Come out, keep out, keep clean out.” Anything approaching fooling is conspicuous by its absence. They had boundless confidence in the gospel and employed no other weapon. After Peter and John were locked up for preaching, the church had a prayer meeting, but they did not pray “Lord grant unto thy servants that by a wise and discriminating use of innocent recreation we may show these people how happy we are.” If they ceased not for preaching Christ, they had not time for arranging entertainment. Scattered by persecution, they went everywhere preaching the gospel. They turned the world upside down. That is the only difference! Lord, clear the church of all the rot and rubbish the devil has imposed on her. Does It Accomplish Its Purpose? Lastly, the mission of amusements fails to effect the end desired. It works havoc among the young converts. Let the careless and scoffers, who thank God because the church met them halfway, speak and testify. Let the heavy laden who found peace through the concert not keep silent! Let the drunkard to whom the dramatic entertainment had been God’s link in the chain of their conversion, stand up! There are none to answer. The mission of amusement produces no converts. The need of the hour for today’s ministry is believing scholarship joined with earnest spirituality, the one springing from the other as fruit from the root. The need is biblical doctrine, so understood and felt, that it sets men on fire.